Five Senses | Does This Font Make Me Look Fat? On my bulletin board, just to the left of my desk, I’ve pinned the following words in large, bold letters. I see them as I write. Adding these details can pull a reader into a scene through the senses of a character. What does that person see, what details do they notice? Do they touch something that feels like velvet or sandpaper. Do a few notes of a melody evoke a senior prom disaster? Does a smell resurrect a memory? 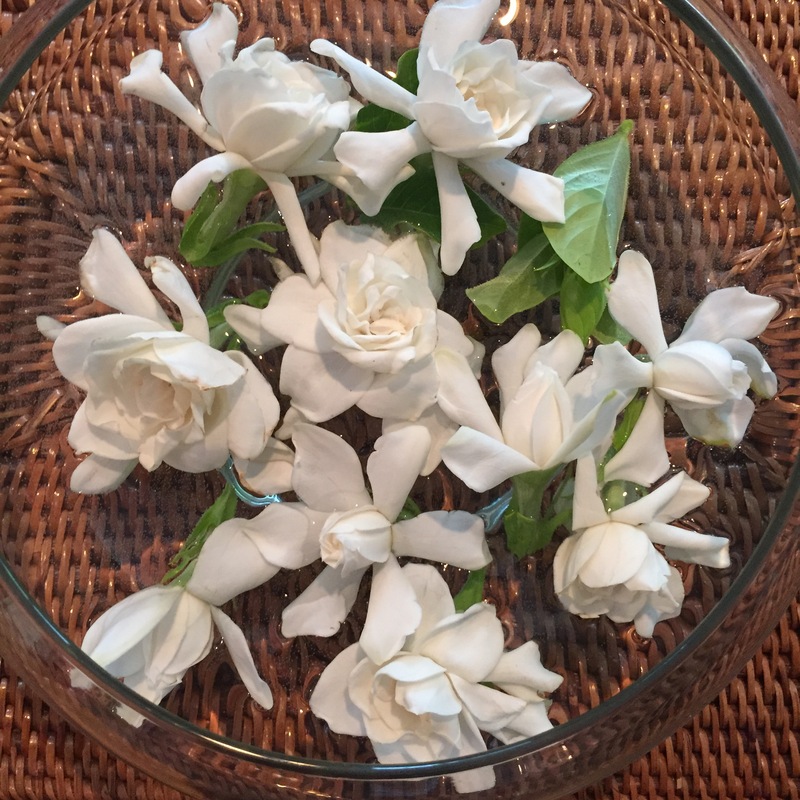 A friend brought me gardenia blooms from her home in Florida. I floated them in a shallow bowl and their fragrance filled the room. They reminded me of corsages my mother wore when she and my father went to formal dances at Notre Dame where he taught. I remember one particular tea length gown with large red roses splashed across the gossamer fabric. I can’t remember if her corsage that night was gardenias, but the fragrance of the flowers on my table brought me that lovely memory. She died seven years ago – just a few weeks shy of her 96th birthday. Happy Mother’s Day, Mom. I miss you. This entry was posted in Personal, Uncategorized, Writing Tips and tagged Milly Schipper by Mala Burt. Bookmark the permalink.